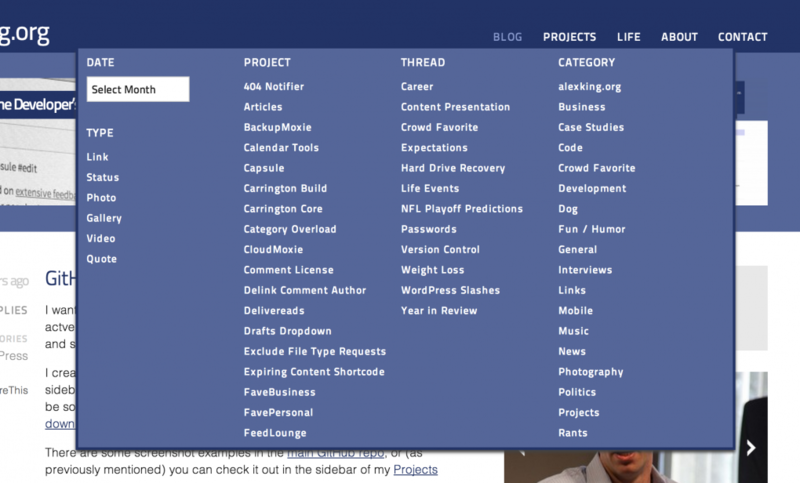 I’m experimenting with a mega menu for my blog navigation. Exposing my content better is always something I’m thinking about, and this gives folks the ability to view by date, type, project, thread and category. Pretty comprehensive. The feature will definitely find a permanent home on this site, I’m just not sure where. The mega menu is an experiment, but I have a few additional ideas for placements that I might try as well. What do you think? Handy or annoying? Interesting and useful or disastrous? Or all of the above?